10 Mar :In a softening of stand at a time when an alliance between Congress and Samajwadi Party for LS poll in Uttar Pradesh appeared non-starter, SP said it could leave some more seats for Congress and no secular govt can be formed without Sonia Gandhi. "Our alliance with Congress could not take the shape as desired by Mulayam Singh Yadav and Sonia Gandhi… we are giving them 17 seats in Uttar Pradesh and they are seeking 25 seats. Congress came out with their list of candidates for 24 constituencies which include around 10 of our sitting seats. Despite this, we have left six seats for them and who knows in future we can leave some more seats for them," SP general secretary Amar Singh told reporters at New Delhi on Tuesday. He said "this would be done without any compromise or any favour because we have no ideological clash with Congress. 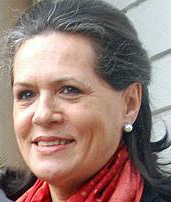 We still say that without Sonia Gandhi no secular government can be formed". On differences between the two parties over the number of seats to be shared in Uttar Pradesh for coming Lok Sabha elections, Singh said that in an alliance no party ever gives its sitting seats to its alliance partner. "Will Congress ever give even one of its sitting seats to Sharad Pawar? They will never do so. They are not even asking for one or two seats from us. They wanted 25 seats in UP. Soniaji is a big leader and if she had requested for more seats on her behalf, then Mulayam Singh Yadav would have considered it. "However due to pressure from Digvijay Singh, Congress list consisted of 10 of our sitting seats… This is too much," the SP leader said.However, the SP leader added that Sonia Gandhi was a senior leader with "a clear heart" and whenever she will call him and Mulayam Singh Yadav, they will meet her. "We have no fight with her. She wanted to contest elections along with Mulayam Singh Yadav and that is why we gave them 17 seats in UP," he said. "Our relations with Congress have only been building and there is no question of them breaking down," Singh added.The SP leader said that due to pressure from some mediating Congress leaders, that party had named candidates on 10 of SP’s sitting seats. "But such wounds are healed when the medicine of love is applied on them," he said. "I will only request Congress to support us as we both have to finish BJP and BSP. Even if there is no alliance, we will support Congress wherever it would appear to be on a strong footing than us. Whether it is their ‘hand’ or our ‘cycle’ (Congress and SP’s election symbols), the aim should be common," he said.